It has its eyes fixed on Hulu. Comcast wants to buy large portions of 21st Century Fox, and it has prepared quite the sum to get it, too. The news was confirmed by Comcast itself. It did not mention any figures, saying “at this point the work to finance the all-cash offer and make the key regulatory filings is well advanced. But Ars Technica says rumours speak of a $60 billion dollar offer. Walt Disney Company has reportedly lined up $52.4 billion all-stock deal. The announcement also says 21st Century Fox isn’t selling the Fox News Channel, Fox Business Network and Fox Broadcasting Company – these three will remain, and will form a new company referred to as “New Fox”. The media are also saying that Comcast has actually set its eyes on Hulu – a popular online streaming service. 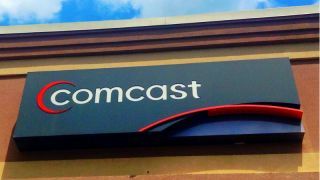 Fox has a 30 per cent stake in the company, so buying Fox would see Comcast become a majority holder. The timing of the announcement is also interesting. Apparently, Comcast wanted to wait to see what the court would say on the possible AT&T / Time Warner merger before making any headlines. However, The Wall Street Journal says Comcast's execs worried Fox and Disney might rush a shareholder vote before the court's decision is made.